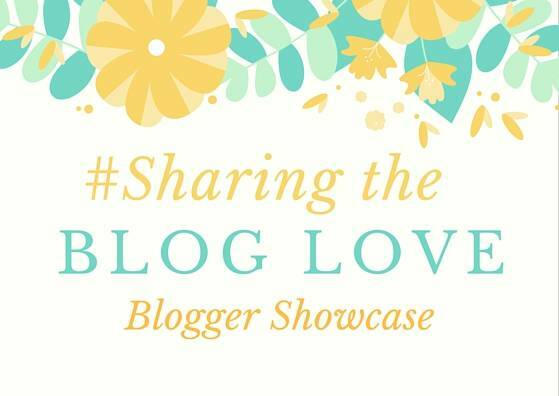 It’s another week of #SharingtheBlogLove Showcase, where I share with you my favourite posts from last week’s link up. It’s great to be able to share with you some of the great posts from bloggers that join us each week. I love the mixture of posts that we get to choose from. When you write a blog and share your life on social media, you are opening the doors to people. Giving the the parts that you are happy to give. Laura, has shared so many beautiful posts about her life, the sad times that her family have been through and the wonderful moments that have helped to heal her heart. But the pain that she has gone through will never leave her, but that doesn’t mean she isn’t allowed to have a bad day. Where her children have driven her to the point that she is counting down to bedtime, just like most parents across the world. So, when someone decided to create a fake account and send her a message about a photo she had posted on Instagram with this caption.. Telling her that she of all people should be grateful. Laura hit back and wrote this brilliant post, My children are just as annoying as yours!. A post that describes how so many parents feel day to day and a post that went to be Mumsnet Blog of the day. I really hope the person that sent the message not only read her post, but that also how much everyone loved it. It can be hard to think of presents to buy children and I love this idea from Claire, DIY Gift Bundle: Decorate Your Own Fairy Door. My girls would love to not only decorate their own fairy door, but to then have it their bedrooms. The magic that it would create for them, would be wonderful to see. It is not only a great gift idea, but a reasonable priced one too. I will be saving this idea for my girls birthdays. Every week Alana has words that she displays for her family to live by, I love this idea and really enjoy reading her posts each week. This week it was, Words To Live by: Go With The Flow and I loved not only learning more about the meaning behind this well known phrase, seeing it in a positive way. I’ve been learning to not let things that I can’t change bother me. To look at the bigger picture and realise that in the grand scheme its ok.
As a parent there are so many things that you have to do that is never easy. Sending your child to nursery , preschool or a child minder is one of these things. You spend a long time finding the right one for your child and do your best to prepare them and you. Kat has shared this post, Nursery: The Facts, sharing her experience so that other parents going through it know that it is all perfectly normal and that it will be ok.
Glad you featured the Five Little Doves post. What kind of person sets up a fake account to troll them? Great selection, there are a couple I haven’t read so I’m off to have a read. Love finding new posts, thank you.